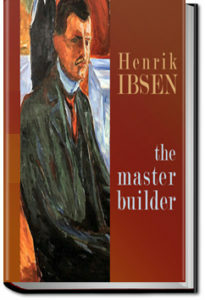 Henrik Ibsen’s The Master Builder, is about architect Halvard Solness, who despite personal tragedy (including the death of his two sons) has risen to the top of his profession. He has succeeded partly through ruthless competition and exploitation and partly through a seeming ability to force his will on others. His unhappy wife Aline mourns for their lost life, and resents his interest in various young women, including his bookkeeper Kaia Fosli. Solness disregards the ambitions of other architects, including Knut Brovik and his son Ragnar, and seeks solace in the advice of family physician and friend Dr. Herdal. With the entrance of Hilda Wangel, a young woman whom he met as a child ten years ago, his life acquires a new focal point, one that will mean the end of him.